Emm Gryner is a celebrated Canadian singer-songwriter. She is widely recognized for her songwriting by other musicians – Nelly Furtado named Gryner’s album Science Fair one of her desert island discs in a VH1 interview, David Bowie named Gryner as his favorite Canadian act, and Bono recognized the track “Almighty Love” from Gryner’s album The Summer of High Hopes as one of six songs that he wished he had written from the last twenty years of music. JTP worked with Gryner extensively from 2003 – 2004, styling photo shoots for her, designing stage wardrobe and even creating her wedding dress. 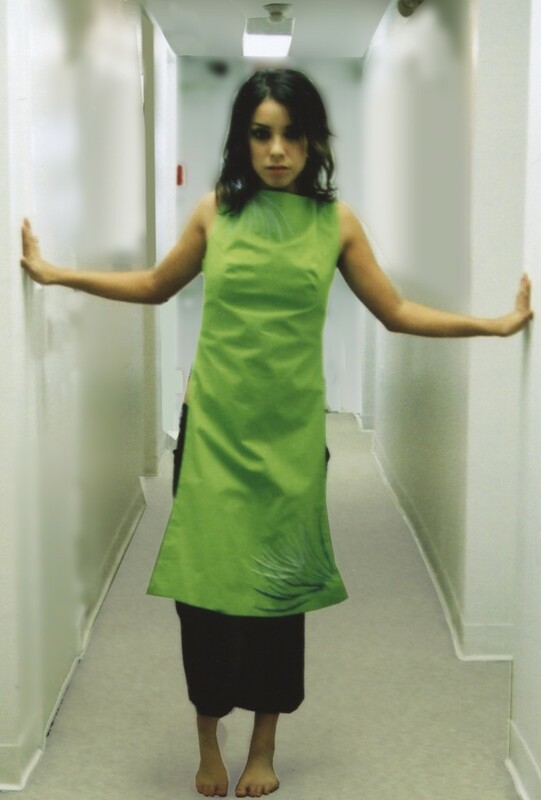 Emm Gryner was one of the 12 female musicians JTP designed for in her ROCOLAT collection – Emm attended the show and hosted a C-TV special on the event.